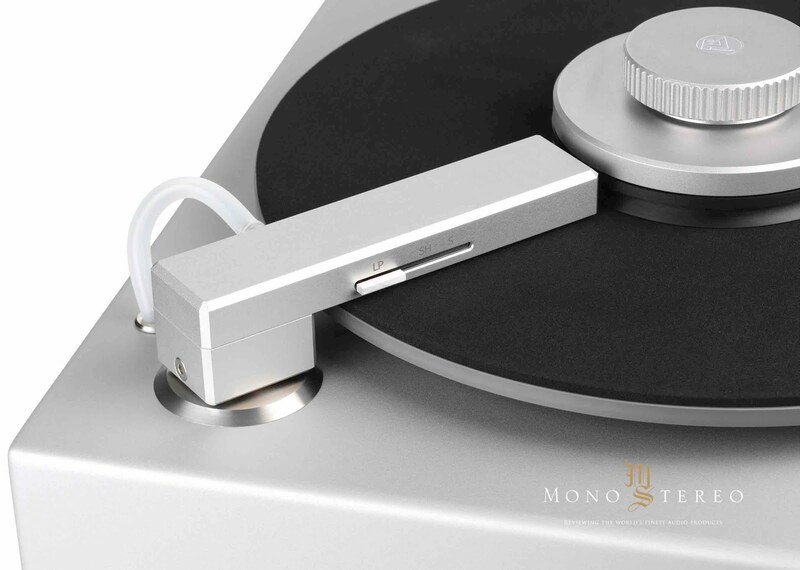 A scrupulously clean vinyl record has so much more to offer: more information, more detail and, let’s face it, superior sound quality. That’s why audio experts advocate cleaning not only your latest flea market finds but equally your brand-new records fresh from the press – to remove those unwanted surface chemical residues. The new Clearaudio Smart Matrix Silent record cleaning machine is constructed using the highest quality components. Designed for intensive and continuous use, it is effortlessly simple to operate and maintain. So, whatever the size and state of your beloved record collection, there’s no excuse for not keeping your vinyl in top-top condition. The Smart Matrix Silent’s multifunctional cleaning, vacuum and antistatic arm goes above and beyond the norm: while most record cleaning machines require multiple arms for different record sizes, the Smart Matrix Silent features a single arm with a built-in a sliding record size selector, enabling you to clean 12” LPs, 10” EPs and 7” singles, both vinyl and shellac. - A single multifunctional arm cleans 12” LPs, 10” EPs and 7” singles (vinyl and shellac). - Integrated, pump-action cleaning fluid application at the touch of a button – no need for messy application by hand. - Powerful 500-Watt vacuum motor, yet extremely quiet operation. - Vacuum suction cleaning delivers deep yet gentle cleansing of pressing residues and takes care of dust, dirt, fingerprints and other contaminants within the record groove. - Bi-directional rotation allows records to be cleaned in either, or both, directions for enhanced cleaning performance. - An included Clearaudio SMS Seal record clamp holds the record firmly in place during cleaning and protects the record label from fluid damage. - An adapter for 7” singles is also included. - Weight approx. 10.9kg, dimensions 345 (w) x 345 (d) x 234 (h) mm. 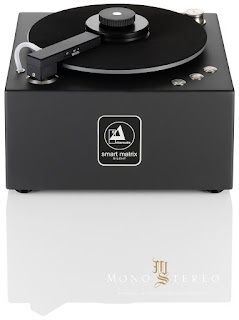 The Clearaudio Smart Matrix Silent is available now, in silver or black finish, priced at £1,375. Optional dust cover £125. (All prices include VAT).